This September sees a new exhibition in Outpatients at Nevill Hall Hospital, Abergavenny. 'Autumn Scenes' is a collection of seasonal landscapes by local photographer Jane Corey. 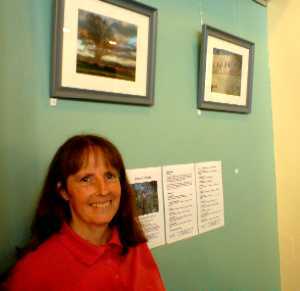 Jane has lived in Blaenau Gwent for 20 years and been taking photographs for over 30. Jane used to take slides but 'went digital' five years ago. Jane takes mostly landscape and cloud photographs but also likes to take fauna and flora - especially insects and fungi. 'Autumn Scenes' is the eighth in a series of exhibitions organised by GARTH, who would like to thank Jane for lending her work for the duration of the exhibition.